Today's been one of those "one step forward, a few billion steps back" sort of days for Skype. Skype has unveiled a video calling feature for the iPhone, but this rather triumphant reveal is probably turning to ash in the company's mouth right now, as it turns out China has banned the service entirely from its borders. 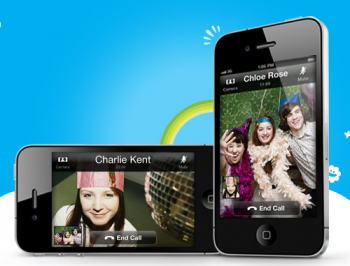 iPhone users can now conduct video calls over both 3G coverage and Wi-Fi connections, to both Skype users with other iPhones or those using the service on their computers. The feature is apparently being rolled out slowly across the globe. Except, of course, in China. Now, within China, Skype has been completely banned by the government. VOIP services are being limited to two government-owned services: China Unicom and China Telecom. As Geek.com points out: "As they are state-owned they can be state monitored meaning anyone using these services will be subject to having their calls recorded." For the moment, Skype is still accessible in China via Tom Online, but it's not expected to stay this way for much longer.